Three Albanian men have been charged with assaulting and kidnapping a teenage boy from Retford while they were involved with a cannabis farming operation. Kreshnik Suli, 33, Klodjan Sina, 31, and Ervin Bitri, 30, all of no fixed abode, were charged with cannabis production, assaulting, and unlawfully detaining and carrying away the boy, when they appeared at Mansfield Magistrates Court, on Thursday. 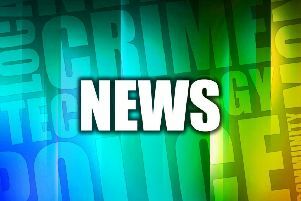 The offences are alleged to have taken place on Carolgate, Retford, on March 24. Bitri denied the offences, while Suli and Sina made no plea. Prosecutor Donna Fawcett said there were substantial grounds to believe the three would interfere with witnesses, commit further offences, and fail to surrender to custody, because they indicated they had been brought into the country illegally to run the drugs operation. No application for bail was made by solicitor Fiona Davidson. Magistrates remanded the three men in custody, to appear at Nottingham Crown Court, for trial preparations, via videolink, on April 24.